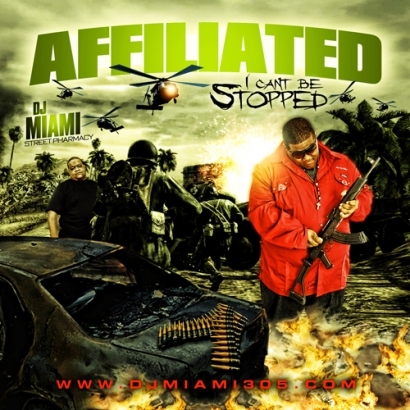 IM A MUSIC ARTIST STRAIGHT FROM DADE COUNTY LOOKING FOR A FEW AFFILIATES WHO ARE SERIOUS JUST LIKE ME. I ALWAYS SAY REAL RESIDE WORLD WIDE. FOR THOSE WHO REALLY KNOW ME MY LIFE SPEAK FOR ITS SELF I AINT GOT NOTHING TO PROVE I JUST WANNA CHILL AND MEET PEOPLE WITH AMBITION AND ONE DAY SOON ILL MAKE IT IN THIS MUSIC INDUSTRY. OVER ALL IM A EASY GOING DUDE WHO LIKES TO WORK HARD AND PLAY HARDER. I WAS BORN IN GOULDSFL THEN MOVED TO PERRINEFL THEN TO SOUTHMIAMI HEIGHTS( STUNNA HEIGHTS)FL AND RECENTLY MOVED TO HOMESTEADFL SO THERE FOR I REP THE WHOLE DOWN SOUTH AND DADE COUNTY BUT MY TALENT IS NOT LIMITED TO ONE CITY OR ONE GENRE OF MUSIC FOR THAT MATTER. IM GOING TO CONTINUE WORKING HARD AND DOING ME AND ONE DAY ILL GET THAT DEAL OF A LIFETIME A LOT OF ARTIST GET IN THE GAME AND DONT HAVE A BACK UP PLAN THATS NO DISRESPECT TO ANYONE BUT I GOTTA EAT ANY REAL ARTIST OR INDIVIDUAL WILL UNDERSTAND THAT. IVE BEEN TOLD I HAVE A RARE VOICE SO I UTILIZE WHAT I HAVE TO GET WHAT I WANT. IM LOOKING FORWARD TO DOING BUSINESS WITH ALOT OF PEOPLE IN THE INDUSTRY. I CAN PLAY SEVERAL DIFFERENT INSTRUMENTS IM A TALENTED WRITER AND UP COMING PRODUCER IM JUST TRYING TO MAKING IT HAPPEN UNTIL SOMEBODY WHO TALKS MY LANGUAGE ($$$$$$$$$$) COMES ALONG. AS A MUSIC ARTIST STRAIGHT FROM DADE COUNTY LOOKING FOR A WAY INTO THE RAP GAME AFFILIATED IS NO STRANGER TO THE OPPRESSION AND LACK OF UNITY IN A CITY WHERE EVERYONE IS OUT FOR SELF. GROWING UP IN SINGLE PARENT HOMEDERRICK AFFILIATEDSTRAUGHTER STOOD OUT AS A YOUNG MUSICIAN AT THE AGE OF 8 STARTING OFF PLAYNG THE VIOLIN. LATER ON IN LIFE JOINED HIS MIDDLE SCHOOL BAND AND RECIEVED NUMORUS AWARDS INCLUDING FIRST CHAIR MUSIC AWARD. MOVING ON TO HIGH SCHOOL AFFILIATED REALIZED HIS TALENT AS A WRITER AS HE WOULD WRITE RAP SONGS AND BATTLE LYRICS FOR HIS FRIENDS (FOR A SMALL PRICE OF COURSE). YEARS LATER AFFILIATED WENT ON TO MAKE HIS FIRST SONG INSIDE THE WASHROOM OF A FRIENDS HOUSE. ONCE HEARD BY OTHERS AFFILIATED BEGAN TO BRANCH OUT AND FEATURE ON LOCAL RAP ARTISTS SONGS. HIS HARD WORK LEAD HIM TO A LOCAL RAP LABEL IN MIAMI (DUNK RYDERS) WERE HE ENDED UP IN TROUBLE. ON APRIL 24 2009 DERRICK STRAUGHTER WAS CHARGED WITH ATTEMPTED MURDER FOR A SHOOTHING OUT SIDE OF A NIGHT CLUB THE INSIDENT INVOLED HIM BEING ROBBED BY 8 INDIVIDUALS WHILE SOME OF HIS FELLOW LABEL MATES STOOD BY WATCHING HIM BEING MUGGED. AFFILIATED OPENED FIRE WOUNDING ONE OF THE INDIVIDUALS. HE WENT TO JAIL BONDED OUT AND MOVED ON LEAVING THE LABEL. WITH THIS INCIDENT BEING HEARD THROUGH OUT THE STREETS OF SOUTH FLORIDA PEOPLE BEGAN TO LEND AN EAR AND LISTEN TO WHAT AFFILIATED HAD TO SAY IN HIS MUSIC. HE USES REAL LIFE EXPERIENCES TO MAKE THE MUSIC THAT PEOPLE WANT TO HEAR. WITH HIS RARE VOICE AND CONSTANTLY GROWING RAP SWAGG HE IS DEFINITELY GOING TO MAKE HIS MARK IN MUSIC HISTORY.